Give the gift of a Premium Wine Tasting Experience, available any time throughout the year in our Cellar Door Lounge or outside on the Balcony overlooking our Block 1 Shiraz Vineyard, planted in 1968. 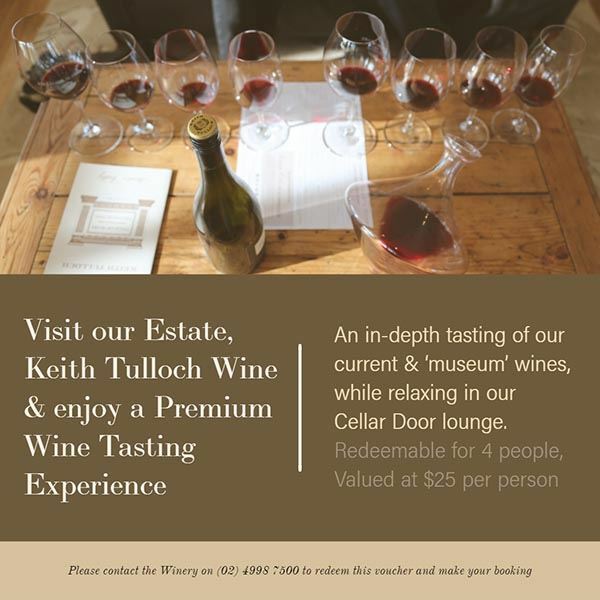 This Premium Wine Tasting Experience is a progressive tasting looking at Keith's current release, 'museum' release, single vineyard and limited release wines. Hosted by one of our knowledgeable and friendly staff in our Cellar Door Lounge or Balcony; you will be guided through the flight of wines at your own pace as we offer you a little more background information on Keith's style of winemaking. This is an ideal gift for a friend, colleague or family member - or come and enjoy the experience yourself!